Nasinu residents say they are happy with the new rubbish collection regime introduced by the Nasinu Town Council that began on Monday this week. The council has begun collect­ing kitchen waste every week day.Previously, rubbish was picked up twice a week. Selau Tikoisuva from Kalabu, Nasinu, said they were delighted with the “very good” daily sched­ule. “It prevents us from digging a hole in the backyard to bury the excess rubbish which piled up due to the old schedule,” he said. 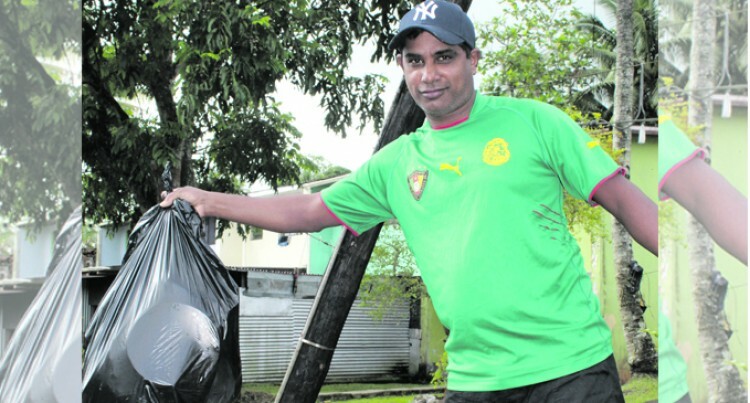 Asiabibi Ali from Kalabu, Nas­inu, welcomed the daily rubbish collection. “It also reduces the smell of rub­bish rotting , cuts pollution and decreases risks of disease out­break. Under the Government’s 2018-2019 National Budget the Min­istry of Local Government was allocated additional funding of $1.15 million to support the col­lection of rubbish from informal settlements and in areas within the town boundaries.